4-8 East 94th Street. Photo: Brett Reitter. Applicant claimed that combining office building and residential townhouse would improve surrounding area. On August 20, 2009, the City Council approved a developer’s plan to combine two buildings on East 94th Street between Madison and Fifth Avenues into one 67-foot, six-story residential building within the Carnegie Hill Historic District. Originally built in the 1890s, developers converted 4 East 94th Street into a seven-story, 75-foot office building in 1963. 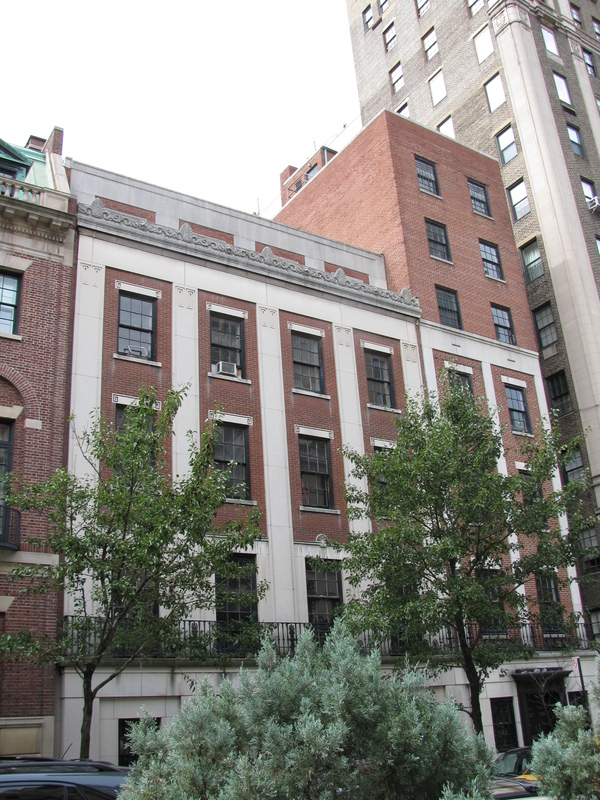 The second building is a five-story, 58-foot residential townhouse at 6-8 East 94th Street. The developer’s plan called for reducing the height of the 75-foot office building and increasing the townhouse’s height to create a uniform height of 67 feet, exceeding the area’s 60-foot height limit. The plan would open up the rear yard by demolishing a one-story addition behind the office building that extends to its lot line. The developer would replace the one-story addition with a six-story, five-and-a-half foot rear facade extension, creating a new 30-foot rear yard. At the Council’s Zoning & Franchises Subcommittee hearing on August 18, 2009, attorney Ross Moskowitz, speaking on behalf of the owner, stated that the changes would increase the adjacent properties’ access to light and air and enhance the neighborhood’s architectural character. He conceded that some local residents may be adversely affected during the project’s construction, but said the owner would comply with all applicable safety procedures and work with local stakeholders to minimize construction impacts. Council Member Daniel R. Garodnick, whose district includes the project, questioned whether the developer needed the rear extension to rise all the way to the sixth floor of the office building, and asked if a smaller rear extension would be sufficient. The project’s architect claimed that the sixth floor portion of the extension was essential because it provided important living space on the sixth floor. Residents of adjacent buildings testified in opposition, claiming that the project would block their views and reduce their access to light and air. They also expressed concerns about the potential construction impacts on neighboring properties. A resident of the building abutting the townhouse said the proposed sixth floor addition would block the views in her building, and asked the Subcommittee to “just say no” to the project. Another resident claimed that the project’s review process had been “flawed” and that the proposed changes would be “grossly out-of-character” with the area’s architecture. The vote was laid over to allow for further discussions. When the Subcommittee reconvened, Moskowitz read a statement responding to issues discussed at the previous hearing, including that the owner had agreed to eliminate a portion of the sixth floor from the office building’s rear extension. Garodnick then stated that the project would be a “vast improvement” in the heart of the Carnegie Hill Historic District and urged his colleagues to approve the proposal. The Subcommittee approved the modified plan, as did the Land Use Committee and the full Council. Council: 4-8 East 94th Street (C 090003 ZSM – spec. perm.) (Aug. 20, 2009).